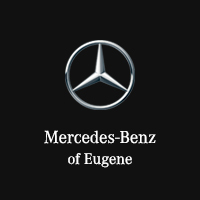 Thanks for visiting Mercedes-Benz of Eugene, where you’ll always get the luxury treatment from our professional and dedicated customer service team. In our pristine boutique showroom, you’ll find a large range of new Mercedes-Benz vehicles, including popular GLA and GLC models as well as choices from the C-Class, E-Class, and more. We also provide outstanding customer service and professional Mercedes-Benz maintenance and repairs for our customers in Springfield, Roseburg, Albany, Florence, Cottage Grove, and beyond. At our dealership, we’re passionate about Mercedes-Benz vehicles and the international legacy of this legendary luxury automotive brand. We’re happy to share that passion with everyone here, too, and we hope you’ll consider checking out exactly what we do daily. The team at Mercedes-Benz of Eugene is happy to give back to the people and communities around us. Over the years, our community involvement has included support for Eugene Downtown Rotary, Sacred Heart Medical Foundation, The Child Center, New Hope Christian College, The Relief Nursery, University of Oregon Foundation, The Shedd Institute, and more. Come to a dealership with a reputation for delivering world-class luxury to its customers, as well as one with its roots in the community. Come to Mercedes-Benz of Eugene at 2200 Martin Luther King Jr. Blvd in Eugene, OR. Feel free to get in touch with us online or by phone at 541-687-8888.